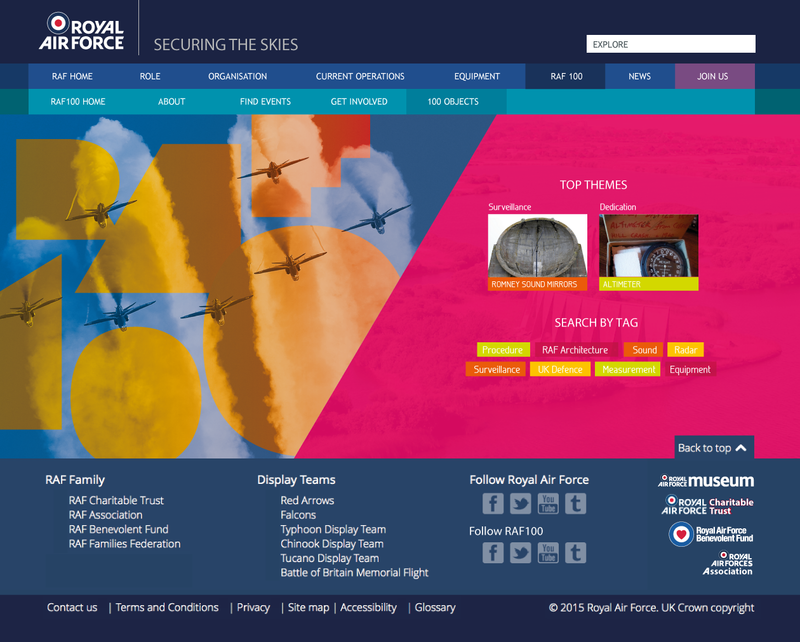 The RAF celebrated their centenary this year, and in preparation for it, a branding strategy was developed by Coley Porter Bell. 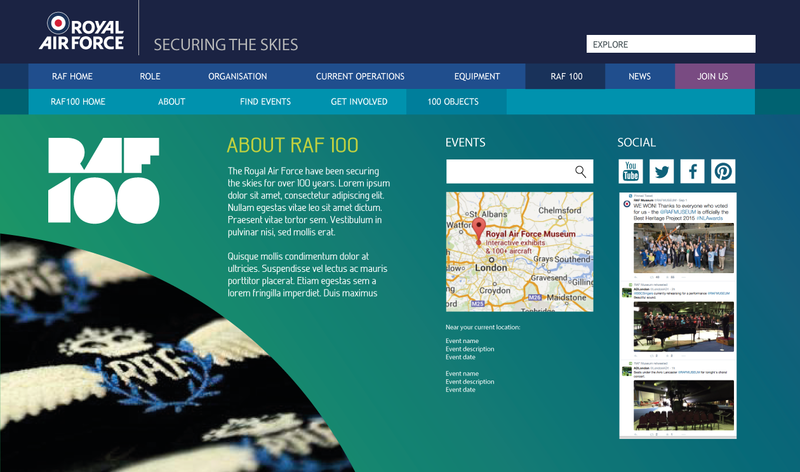 This initial design did not end up being the final version used, however I was tasked with developing some designs for the RAF 100 website using it by digital agency Binary Vision. 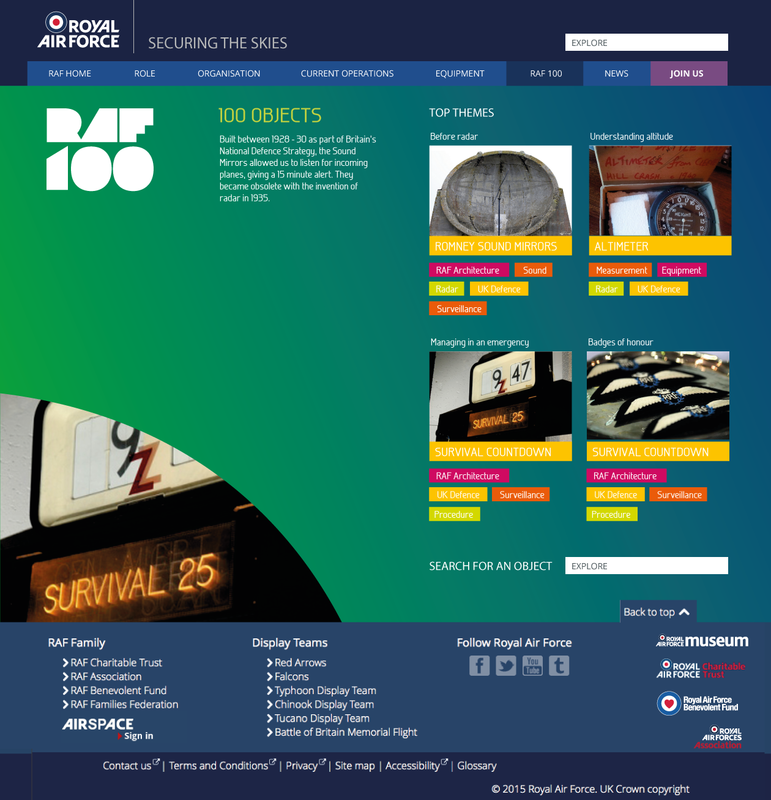 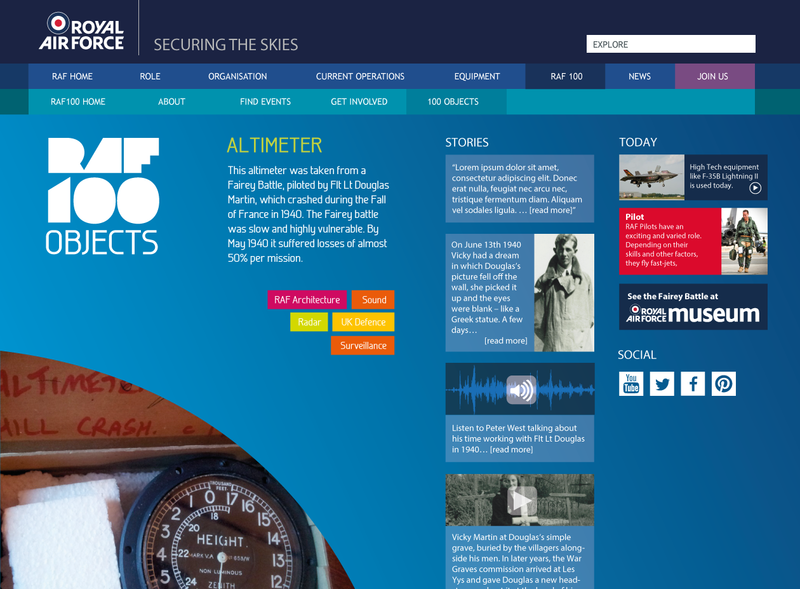 The designs revolve around the concept of 100 objects related to the RAF with user interaction and social sharing. 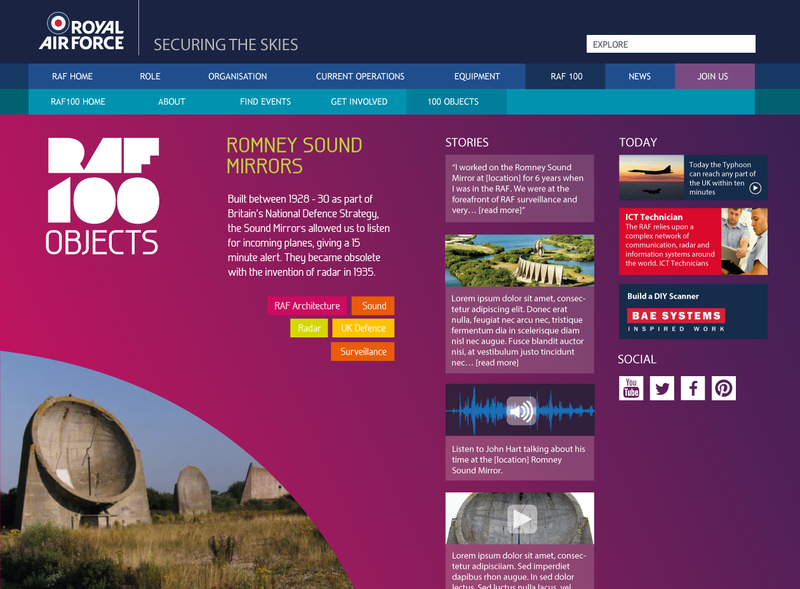 The concepts on the left show desktop and mobile responsive designs for selected pages created in Illustrator and photoshop.